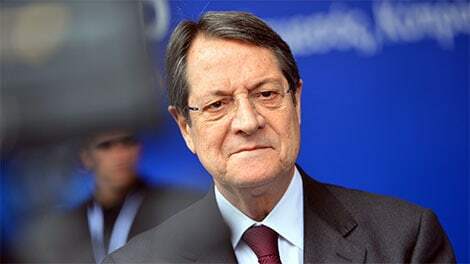 PRESIDENT Nicos Anastasiades has rejected a bill banning banks from repossessing homes that owners have paid for but have no title deeds because of developer mortgages, judging it to be in violation of the island’s bailout agreement. In a letter to parliament on Friday, Anastasides said the bill, passed on March 19, was being sent back to the legislature because it created a general and permanent shield, not for vulnerable groups, but a number of sellers and land developers. This, according to the president, was a departure from the provision to suspend repossessions of certain properties until April 30, 2015. According to the terms of its bailout, Cyprus must enact effective foreclosures legislation. According to the provision, such properties will be exempted provided the buyers paid at least 80 per cent of the sale price or have fully complied with their contractual obligations towards the seller. In the letter, Anastasiades said the issue of trapped buyers was being handled by the ministries of finance and the interior in cooperation with the Central Bank. Parliament removed the date – April 30 — that was included in the main foreclosures law, indefinitely banning repossession of houses whose owners have no title deeds, even though they may have paid for them in full, because the building developers had already taken out loans on those properties which they cannot repay. In the same article, parliament added that apart from the buyer, the mortgagee must also inform “the debtor” about the provisions of the article so that the “buyer or/and (also added by MPs)” the debtor submits the necessary proof of payment. Developers’ land and buildings are counted as assets that need to be offset against their debt to banks, which gives lenders a claim on people’s properties that had been mortgaged by developers. Under the terms of its bailout, Cyprus has set up a task force “on registered, but untitled, land sales contracts” that must prepare a study by the end of May. This should have been done by October last year. Included in their tasks would be a financial impact assessment regarding title transfers and lifting encumbrances. Parliament can now accept Anastasiades’ referral or reject it and let the matter be settled by the Supreme Court.